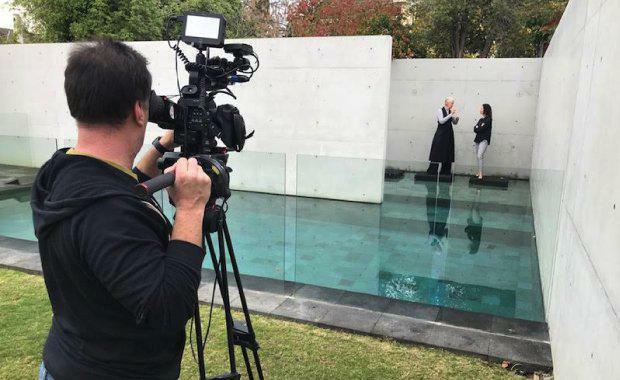 A brand new architectural television series is set to hit our living room screens this year on Network Ten, but it is far from the stereotypical reality show you have most likely watched in the past. The value of architects is placed under the microscope with the launch of a new television series that focuses completely on great quality architecture around Australia. Australia By Design will be airing on TEN across Australia from July 2017, searching for the top 10 architectural statements of the year in each state and territory. The series is an extensive study of architecture around the country with 80 projects featured throughout the series. Residential homes, commercial spaces, and public places are all contenders to land a spot in the final episode, which determines the best-of-the-best architectural statement in Australia. “Australia By Design is going to showcase the very best architecture in Australia,” claimed New South Wales state government architect Peter Poulet. Australian Capital Territory, Tasmania, Victoria and New South Wales have all been filmed so far. South Australia, Western Australia and the national best-of-the-best finale episodes will all be filmed prior to the starting air date. ’s executive producer Mike Chapman is no stranger to lifestyle and architectural programming. “There is a place for a discussion on architecture on main stream TV,” said Mr Chapman. “The trick is to make the discussion accessible to the general public. This is why we have taken the approach of the popular countdown 10-one format,” he added. The host of the half-hour series is Tim Horton, Registrar of the New South Wales Architect Registration Board. “It is about architect-designed homes presented by architects but with industry leaders who are there to judge them and to rank them,” Mr Horton said. The show also has support from all government architects from states and territories. Each state government architect is paired with another highly respected architect to visit the featured projects and interview the architect and owner on site. “What’s unique about having government architects being involved is that we have the public interest at heart and an understanding of how government affects and influences housing, building—architecture more broadly,” Mr Poulet said. The ongoing thread throughout the series is that all architect-designed projects featured have a strong connection to its landscape and environment. For example, in Tasmania, it is all about unveiling powerful and bold statements while working within the parameters of a mountainous landscape and chilled climate. Victoria brings the heritage charm in city houses while increasing interior space and implementing designs that use more natural light. New South Wales regards the coastal climate, yet magnetises the super spacious interiors, meadow-like landscapes and some projects successfully experiment with curvaceous exterior designs. 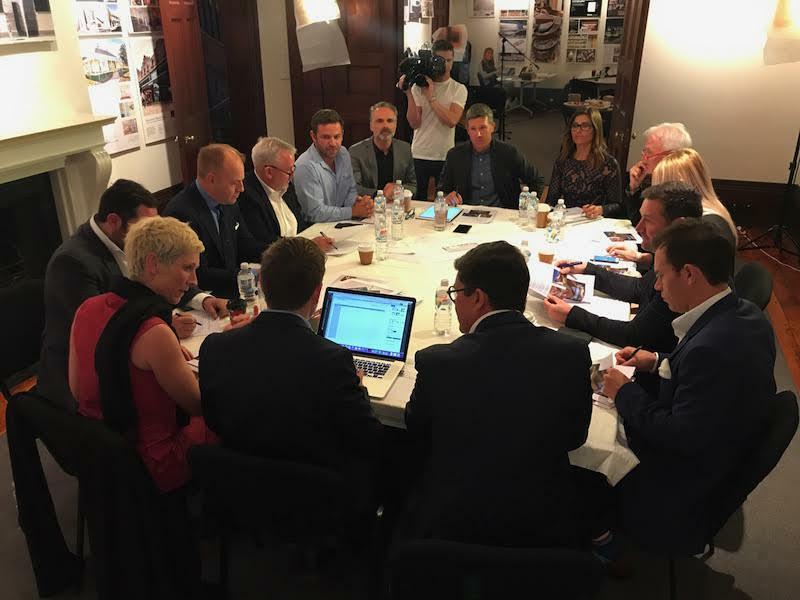 All the judges on the panel coming together to rank NSW's top 10 architectural statements of the year, which took place at the Australian Institute of Architects, Potts Point. Photo: Mike Chapman. But this highly anticipated series is not just showcasing multi-million dollar homes and office spaces. The projects vary from city bridges, to swimming pools, libraries, an equestrian centre, holiday shacks, museums to residential homes. “The format brings accessibility and information together,” Mr Horton claimed. According to Mr Horton, each project reflects a different scale in terms of cost, size, and use of materials, however all projects aim to reduce costs and the risk to endangering the environment. One of the main judging criteria is whether the architect has addressed the effectiveness of costings toward the project. Other fractions of the judging criteria focus on the holistic approach from the design state to the finished product. Select criteria include the projects having a strong relationship to its context and landscape, the architect adhering to the owner’s vision, interactions between cross-disciplines such as employing engineers, building certifiers and the like plus the functionality and accessibility of the project. The last and arguably the most important factor is if it is sustainable against its climate, for example, Queensland judges will be looking to see if the materials and design are safe from natural disaster impacts such as cyclones and flooding, or perhaps in Victoria and regional areas if the designs are in keeping with bushfire protocols. Not only will the architects and the builders want to watch the series, but anyone who is interested in design, home improvements, being a home owner, or just loves to be a little creative will enjoy watching Australia By Design.